because we had a lot of trouble with electrics gear shift the micro switchs and wiring where faulty and back engine would be in different gear to front. 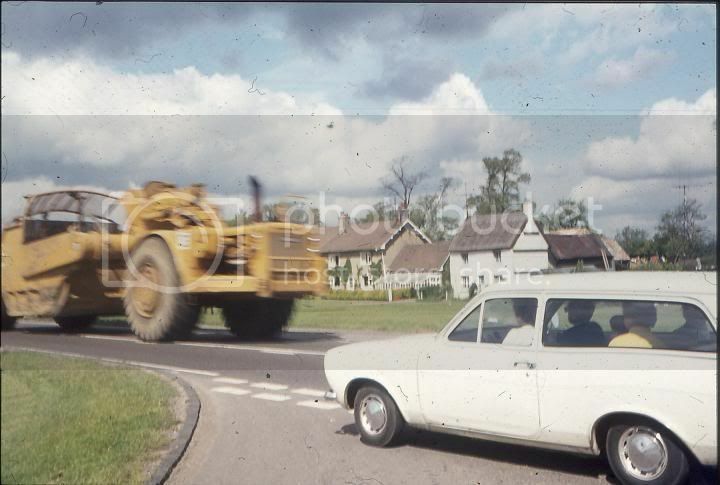 when we use to drive scrapers to glenfarg or kinross from snetterton it was at least 3 days getting they we use to drive about hour then rest machine an hour to let tyres and transmission cool on twin engine scrapers we would pull out rear half shafts .going over forth road bridge they would close road and make us go over one at a time in centre of bridge even with 627s. Did you ever run in to Tom Welch when you were there? 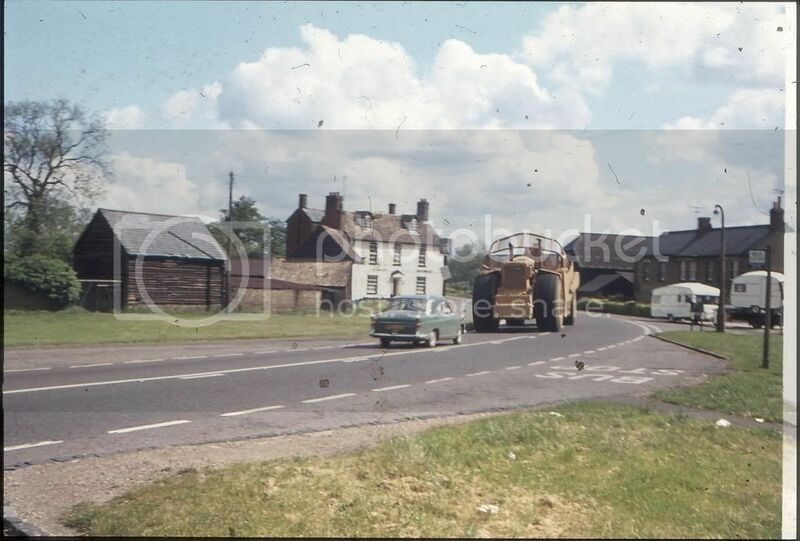 Great picture Bob, that's a long way to go with a machine like that, is that an Austin Maxi parked alongside ? was transported back to snetterton. I have also tramped ts14 on the road for blackwells from liddlington ( now lotus test track) to manchester airport and french datchet reservoir to claydon not to many rest breaks on these to trips. Good story Bob.Post some more if get chance. Picture shows the 631 at work last year. Just found these two pis while looking for something else!